Once an ad man, always an ad man, Bestselling novelist James Patterson has sold millions of books and doesn't need gimmicks to ensure his next novel hits the bestseller lists. 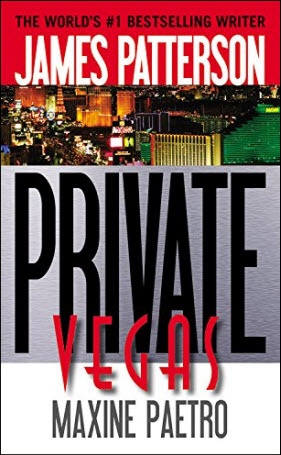 But he just loves promotions, so he's created an explosive idea to promote his new novel Private Vegas. One fan who is willing to write a check for $294,038 will get the book debut experience of a lifetime. The fan will be flown to an undisclosed location, watch a bomb squad detonate the new book just 24 hours after the fan has read it and then enjoy a five-course dinner with Patterson himself. The fan will get to keep the golden (not gold) binoculars as a keepsake. And of course he or she will have their memories of the unusual event.